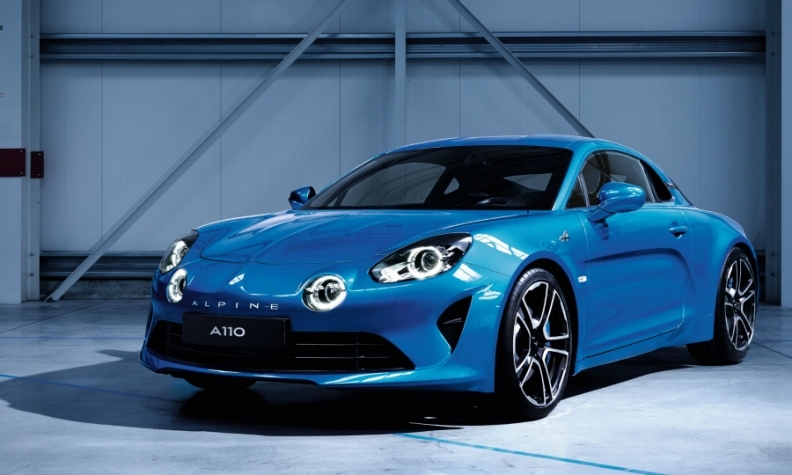 The Alpine A110 has a pinched hood and twin front headlights. RENNES, France -- Renault will call its new two-seat Alpine sports car the A110 as the automaker seeks to add sporty prestige to the brand by reviving the name of a coupe that won rally competitions in the 1970s. Renault is hoping the A110, which will be targeted at the Audi TT and Porsche 718 Cayman, will provide a halo effect across its lineup. The automaker revealed the name and released pictures of the A110 on Tuesday ahead of the car's unveiling at the Geneva auto show on March 7. The A110 has a full aluminum platform and upper body for optimum weight saving and agility, Renault said. 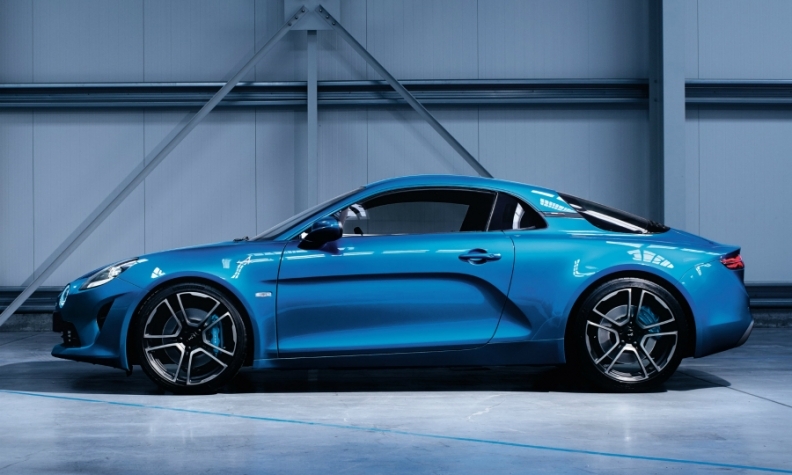 Renault is hoping for a halo effect from the Alpine A110. The car's key specifications will be revealed in Geneva, Renault said. The A110 will accelerate from 0 to 100 kph (62 mph) in 4.5 seconds. Reports say it will have a 1.8-liter engine with 250 hp. Renault plans to build 3,000 Alpines a year at its plant Dieppe, France. Forecaster IHS Automotive predicts the Alpine will peak at about 1,300 deliveries in 2018. Renault had originally intended to reveal the A110 at a standalone event instead of the Geneva show but changed its mind. The Geneva show offers a good fit for premium sports cars, IHS analyst Ian Fletcher said. "Geneva is a bit of a glamor event and not showing a new premium brand sports car there would probably be a bit of a mistake in terms of reaching some of the customers it is hoping to capture," Fletcher said. Renault bought Alpine in 1973 but stopped building its sports cars in 1995 because of poor sales.